Britt McHenry and Ski Johnson at Washington Life and the National Museum for Catholic Art’s Holiday 2012 Celebration, Georgetown Victorian Christmas House. Photo by Alfredo Flores. In less than five days in mid-December Santa’s helpers transformed a vacant, 12,000 square foot mansion in the heart of Georgetown into a decked-out Victorian Christmas House, with a lavish Holiday cocktail reception enjoyed by 300 Holiday revelers who came to support the National Museum of Catholic Art & Library and the U.S. Marine Corps Toys for Tots campaign. 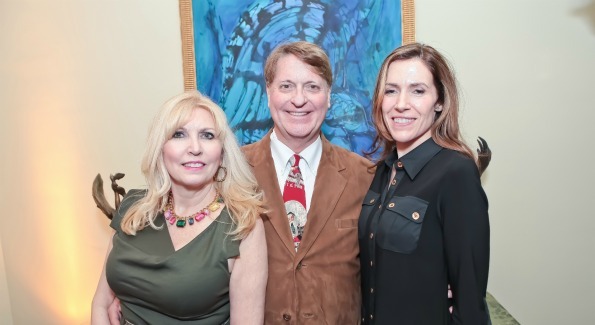 Museum Founder Christina Cox and Churiazzi International‘s CEO Gordon Root decked the walls of the General Walter Smith Mansion with priceless pieces of nativity art and six stunning bronzes from Root’s Naples, Italy-based foundry and Masterpiece Investment Charities. The museum’s art collection includes the famous “Blue Madonna” by Cuban artist, Tito Gomez, “Saint Apollonia” by Andy Warhol, “Madonna and Child” by Ortiz, “Angel in Prayer” by Liliya Popova and “The Adoramus” by John Plummer Ludlum which glows in the dark with acrylic fluorescent paints. A life size Nativity set hand painting in the Philippines was also on display, and Art collector Asa Williams spoke about the history of the artwork and the secrets of the Nativity painting. Three time Grammy-nominated jazz saxophonist Ski Johnson and the 16-member Alexandria Choral Society performed Holiday favorites. After performing, Johnson auctioned off a Grammys Experience, including airfare and hotel to Los Angeles, and the opportunity to walk the Red Carpet at the Grammy Awards with Johnson on Feb. 12. The proceeds of auction item, which fetched a winning bid of $10,000, also benefited the Jazz for Life Foundation. The five-story mansion was built during the Civil War by General Walter Smith, a renowned Confederate General, and was occupied for the past 50 years by well-known Washington banker Leo Bernstein and his wife. Purchased last year for $6.3 million by Arlington-based developer IDI Group Companies, the one-of-a-kind 16-bedroom house with two swimming pools (one in the basement and one on the back terrace) is expected to undergo major renovations this year before being listed, says owner Jon Cecchi. Renowned Georgetown restaurateur Franco Nuschese contributed Italian delicacies from Cafe Milano and wine from his Italian vineyard, Nuschese Wines, while neighboring restaurants Neyla and Billy Martin’s Tavern also chipped in heaping platters of entrees. Anheuser Busch Companies contributed cases of Stella Artois for the event, Bai Waters chipped in cases of low-calorie water drinks, and Adeler Jewelers in Great Falls, Circe Day Spa in Alexandria and Fitness Together provided goodies for the goody bags. Guests at the event dropped off new wrapped toys, and U.S. Marine Major Chuck Kilbride delivered another 300 donated toys, which were picked up by children from a D.C. battered women’s shelter several days later during a Holiday Gingerbread Tea, with Georgetown Cupcake providing the delicacies. General Motors posted a few of their choice 2012 models outside the mansion’s four-car garage, and at the end of the evening, GM shuttled VIP guests to their next Holiday party in chauffeur-driven 2012 Escalades. 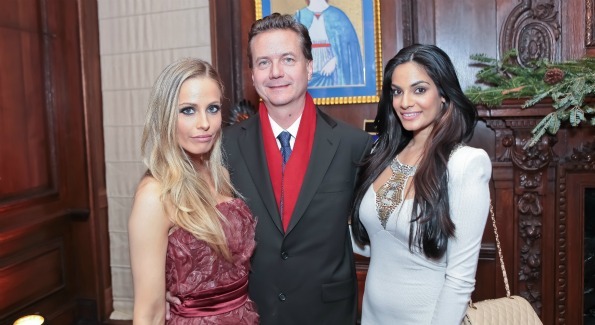 Crystal Hannon, Martin Gammon, and Bela Aggarwal at the Washington Life and the National Museum for Catholic Art Holiday 2012 Celebration, Georgetown Victorian Christmas House. Photo by Alfredo Flores. Christina Cox, Bill O'Reilly, and Dawn Marie Jones at the Washington Life and National Museum for Catholic Art Holiday 2012 Celebration, Georgetown Victorian Christmas House. Photo by Alfredo Flores. 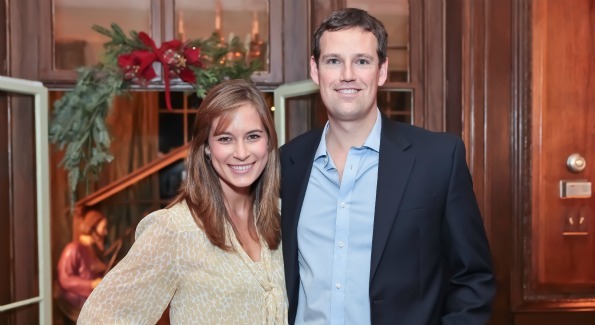 Lindsay Kin and Fletcher Gill at the Washington Life and National Museum for Catholic Art Holiday 2012 Celebration. Photo by Alfred Flores. 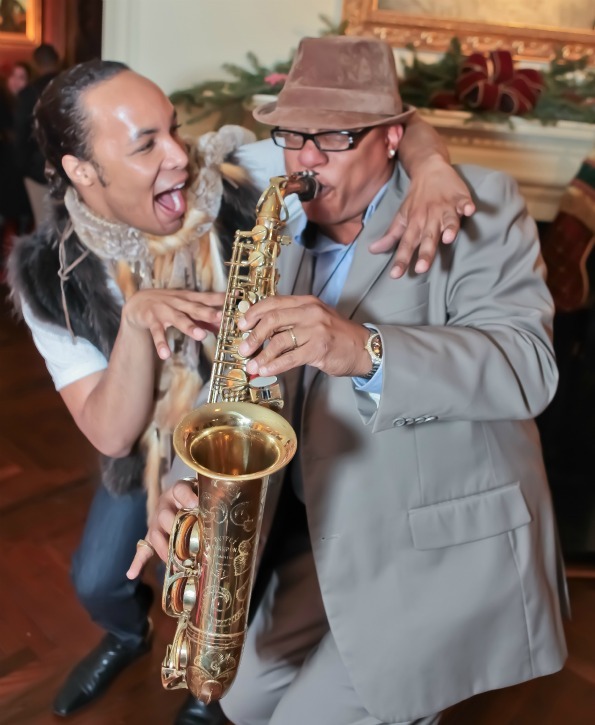 Paul Wharton and Ski Johnson at the Washington Life and National Museum fo Catholic Art Holiday 2012 Celebration. Photo by Alfredo Flores. 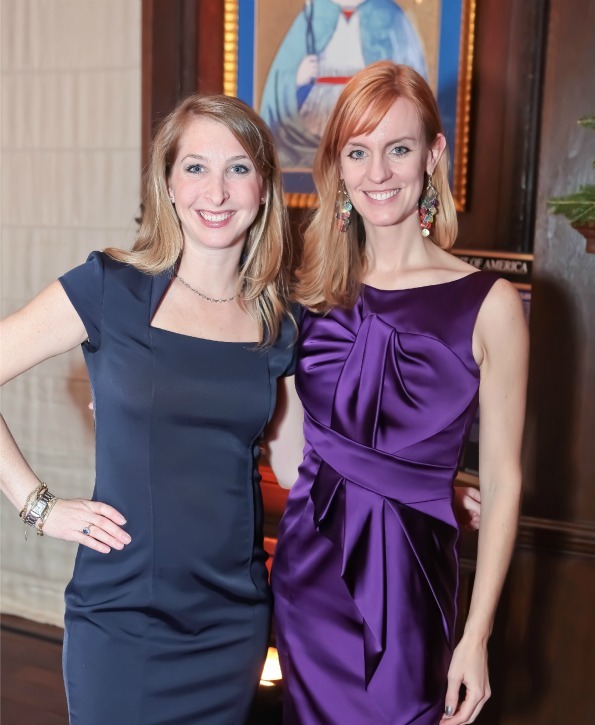 Diana Minshall and Amy Dorcy, Washington Life and National Museum for Catholic Art Holiday 2012 Celebration. Photo by Alfredo Flores. Hollywood on the Potomac: Sexiest Man Alive?